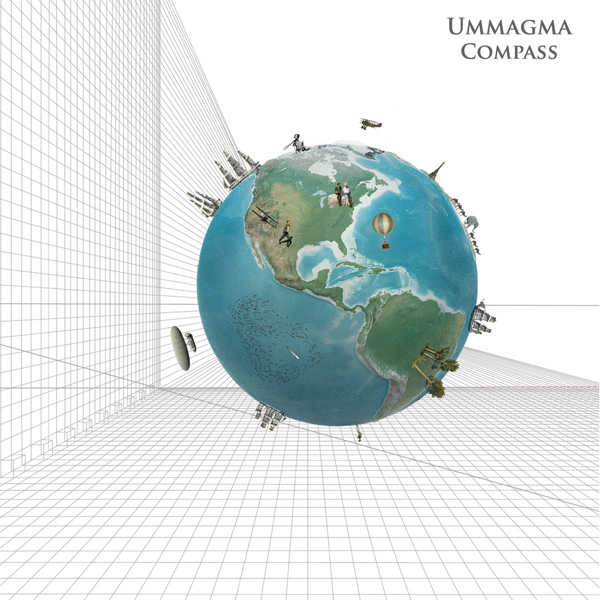 Indie/electro-pop duo Ummagma will release Compass, the band’s first LP in seven years, on June 21 via Manchester’s Leonard Skully Records label. The first single, “Caravan,” a pop anthem set against Carpathian percussion, drops May 8, with the single’s up-tempo B-side “Ty i Ya” featuring vocals in Alexander Kretov’s native Ukrainian. Ummagma formed in Moscow in 2003, with Kretov and vocalist Shauna McLarnon blending the ethereal and electronic to create a dreamlike sound. The duo has collaborated with Orchestral Manoeuvres in the Dark’s Malcolm Holmes, Swervedriver’s Graham Bonnar, and nu-disco kingpin Alexander Robotnick, and won the Alternative Eurovision competition on Amazing Radio in 2013. More recently, the project released a pair of EPs in 2017, with Robin Guthrie (Cocteau Twins) and Dean Garcia (Curve) on LCD, and 4AD dream-pop pioneer A.R.Kane on Winter Tale. Compass marks the project’s first release on vinyl, with CD and digital copies also available; Compass and “Caravan” are available through Bandcamp.